Nairobi 2017 finished Friday with the commissioning of 5 new staff, including new country directors for Congo and Ethiopia. Yesterday, those who are still here drove through Nairobi National Park featuring giraffes, one flustered ostrich, and a big lion fresh off her kill. The conference I think far exceeded everyone’s expectations. Our 13 African associates connected exceptionally well with each other and our 13 American staff and volunteers, promising to pray for each other and to work together whenever possible. I was thrilled to see them think more strategically about WDA and begin to see it as a truly continental movement. A few fun highlights from the week! I bought 13 kindle fires and uploaded ALL our WDA content (bible studies, books, articles, teaching outlines, workbooks, etc) plus a small library of kindle books for their training and personal reading. The response was very gratifying! And more than one of them stayed up til 2AM reading the rest of the week! *I bought 13 kindle fires and uploaded ALL our WDA content (bible studies, books, articles, teaching outlines, workbooks, etc) plus a small library of kindle books for their training and personal reading. The response was very gratifying! And more than one of them stayed up til 2AM reading the rest of the week! 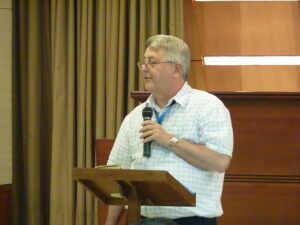 We had a very honoring “roast” for Ken, who started the international ministry 20+ years ago. We shared funny Ken stories and had a time to pray for him as he begins to step back and I take on more leadership. He was also very affirming of me to the guys in my new role. 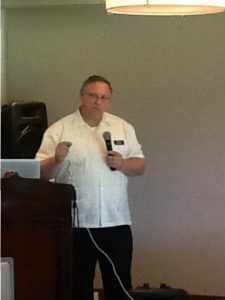 Having Dan Horne, the chairman of the board there was a godsend, especially as our teams broke into country groups and developed strategic plans for nationalizing their ministries. He brought a lot of good business sense as well as a deep pastoral heart for the men. It was so fun to have my dad Paul Harkness with me getting to know the guys, sharing a short devotional Friday morning, and then traveling with our group to the safari on Saturday. Of course everyone loved him and it was gratifying to come back with him to Kenya, the first place in Africa I visited with him back when I was in high school! Restoring Your Heart leader, Nancy Higgins put a fire in everyone’s belly for bringing emotional restoration to their countries. Tanzania, Congo, and Ethiopia are ready to roll as soon as possible! Kenya is planning go through the work books as a team immediately. I heard literally dozens of testimonies about how God had changed the lives of our staff and the people they minister to through WDA and how this week represented a new page in the history of WDA for them. They are going back home with new materials, a fresh passion, and a clearer vision for how to develop disciple-making movements in their communities and nations. There are SO many other fun and significant highlights. But the bottom line is this: We connected with God and with each other this week. That was my biggest goal and I couldn’t be happier with the outcome. Now its off to Zambia! More on that to come! Muhammad Ali and Joe Frasier faced off in the 3rd matchup of their boxing careers. The previous meetings had them tied one win each. In what was an amazing fight, Ali won by technical knockout in the 15th round. The bout is ranked in the sport as one of the best in the sports history. 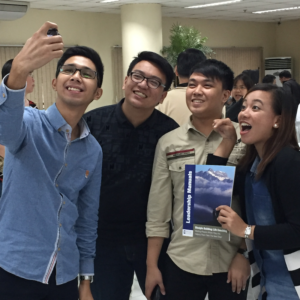 WDA sent a team of five men to the Philippines this April, and it was a “Thrilla” as well. 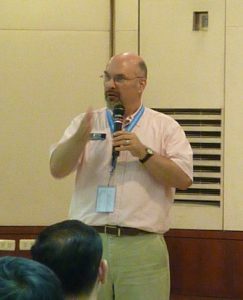 For over the last nine months WDA has been establishing a relationship with a ministry partner, James Tioco (pron ch-eo-ko), who leads a ministry called Sowers of the Word (S.O.W). James had contacted WDA after reading many of our books and looking at our website. 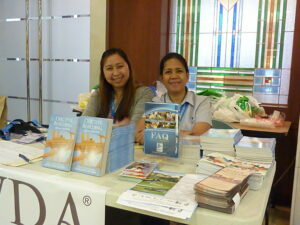 He believed that WDA had the comprehensive approach that would serve the church in the Philippines. Our Exec VP and C.O.O., David Partfitt, began a dialogue over the phone and by Skype which allowed us to learn about them and them about us. 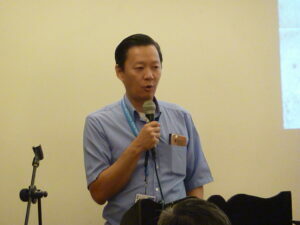 It was clear that James wanted to see WDA help him roll out a discipleship ministry. So this brought us nine months later to our trip to Manila. David Parfitt, Dan Horne (WDA Board Chairman), Woody Johnson (WDA Board Member), Jeff Pritchett (Chick-fil-A), and I (WDA Church Staff, Atlanta Arts Coordinator, Publishing Leader) began to develop a series of presentations for church and ministry leaders, denomination leaders and ministry partners. 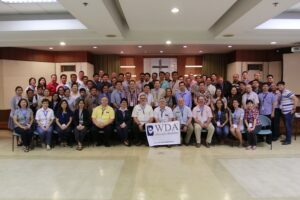 We flew to Manila April 27-May 7, and over a week introduce the ministry of WDA to a limited number of people who we hoped would pray, lead and/or volunteer to be WDA trainer of churches. From the beginning, we realized that James could have gathered hundreds of leaders to a one day “training” but we wanted to be strategic in our launch. Limiting the numbers would allow James and Sowers to have a manageable number of people to train. On Monday and Tuesday we did full-day “orientation” meetings in which we discussed the need for discipleship, the priority of the local church as the vehicle for disciple building, the process, biblical foundation, and our Biblical Framework and the Five Initiatives of Disciple Building, R-CAPS®. Each day closed with a challenge for them to pray, lead a new or existing group using our approach, and/or also be willing to become a WDA Trainer to train churches and ministries to use our approach in their context. 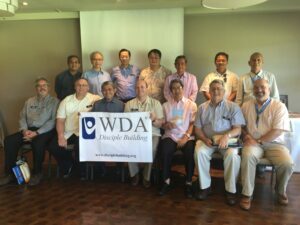 Wednesday we met with potential ministry partners who would commit to pray and fund the ministry of WDA Philippines (Sowers). 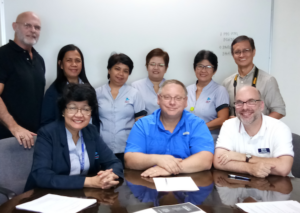 Our team also spent Wednesday morning meeting with the Philippine Bible Society (PBS) who will be our in-country publishing partner. They will be printing and translating our materials for use beginning in Manila, then to other areas as God provides people and opportunity. Our last day was a full day with the Sower’s ministry, discussing next steps, strategy and reporting on the results of the earlier meetings. We left the meeting with lots of energy and ideas for how we could move forward. We were a bit overwhelmed by the many churches and pastors who already were committing to train other trainers. Many were already making plans to begin new groups or multiply existing groups and use our WDA approach and materials. They desired training as soon as possible and wanted to know what materials were ready now! We had financial backers who wanted to know more details and what would be needed to fund this initiative. James said that his phone was full of text messages each night following the meetings as people were responding very positively towards our orientations and vision. 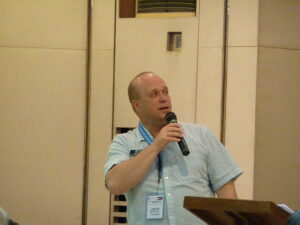 It is by the grace of God that our work in Manila is happening now. Even a few years ago WDA would not have had the ability to move forward with this type of initiative in the way we are able to do today. Over the last two years we have redesigned and printed books for our country and have the ability to take the exact same English materials and have the Philippine Bible Society adapt our format to one which is more suitable in size and affordability for the church there. After being on the ground and talking to leaders, hearing from James and his team, we are positioned to provide materials and training to over 700 people in just this first stage. We begin by providing leadership training and materials using WDA’s Disciple Building: A Biblical Framework and A Small Groups Manual. PBS will also print all of our Cornerstone (Phase 1 and 2) materials. Leaders will be using Pocket Principles® and Guided Discussions, and the students will get a version that has just the Pocket Principles®. The partners at PBS were very helpful as was the Sowers team in helping us decide how to configure our materials specifically for them. The churches want to launch their new groups as soon as possible, so we have a goal of 30 days to get new materials in their hands. Our publishing team and the PBS will be working hard in the next few weeks to get books reconfigured and to their printing press. We will also spend these weeks providing short video training segments that Sowers will use to begin to follow up from our orientation and prepare leaders to launch discipleship groups using Getting Started. Over the next 12-18 months, they will complete all of Cornerstone. WDA will continue to work with Sowers to provide training from the U.S. while planning for second trip to roll our Life Coaching Ministry and additional training. 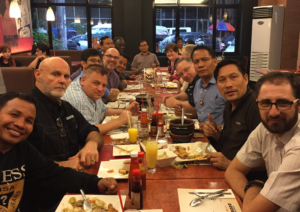 We are overwhelmed by God’s providential work in bringing our team to the Philippines, creating a desire for Biblical discipleship, providing people and organizations in-country that are primed to move forward and provide the people and resources for this to go forward. As of this date we have 81 prayer partners, 71 leaders of new Cornerstone groups, 59 new Cornerstone trainers, 125 new small groups beginning. 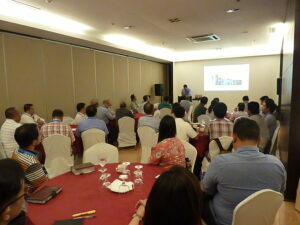 35 Youth Pastors trained by a participant using R-CAPS®. The Full Gospel Businessmen’s Fellowship Board, approved our approach and ordered 50 copies of Disciple Building: A Biblical Framework Book. 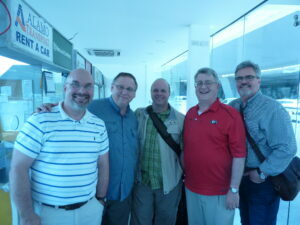 We are humbled that God would use the five of us men to promote His work. 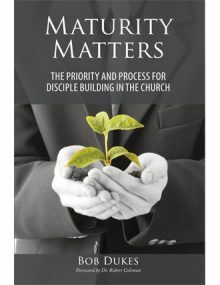 This was not about us as individuals, but it was clear that God wanted to encourage these leaders that they and their church members can have a significant ministry to many people as they continue with us to fulfill Jesus’ commission to make disciples by going, baptizing and teaching to do all that He commanded. Our team, while still feeling the Jet Lag, returned with great joy and thankfulness for the opportunity to be part of a launch of Disciple Building ministry with a great partner in Manila. This certainly was a “Thrilla.” There will be much more work but also much more fruit from our trip. Pray for James Tioco and Sowers of the Word and for us. Pray for the hundreds of pastors who this very moment are beginning to share what they learned in our orientation. 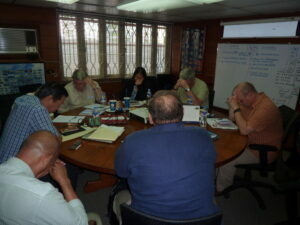 Pray for the publication of materials, training of leaders and wisdom for next steps. Thanks for those who pray for our ministry. 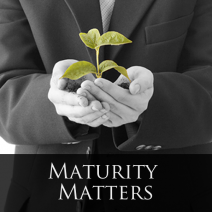 God is at work all over the world bringing people to himself and raising up men and women in the church who are committed to helping others grow to Christ-like Maturity. Why is Discipleship critical for the church worldwide? 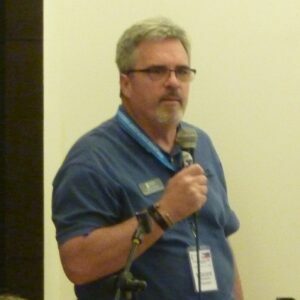 The WDA 2820 Conference DVD provides insight from WDA President Bob Dukes and Restoring Your Heart Leader Jack Larson. 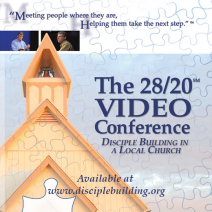 Watch this introductory video and consider getting this conference produced on DVD and suitable for use in many ministry contexts.